Protech Dark Angel OTF Automatic Knife 3201. 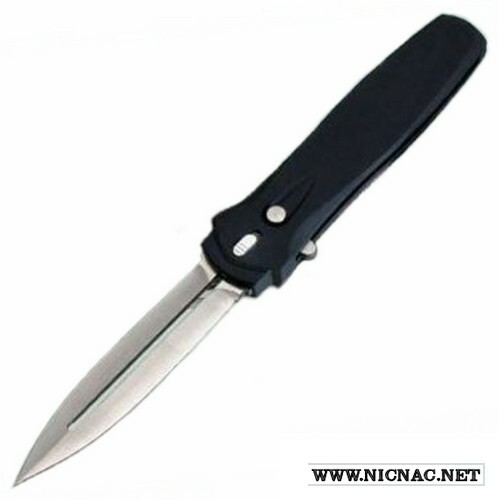 Black aluminum handle with a 3.7 inch 154-CM satin finished blade. Single Action out the front knife comes with a safety and a custom pocket clip. This beautiful fully automatic auto out, auto retract knife locks up tight and is overall open length 8.85 . It weighs in at a sturdy 7.3 ounces with a full blade length of 3 3/4".